Hi, I’m Dr Matthew Holmes, Chiropractor. 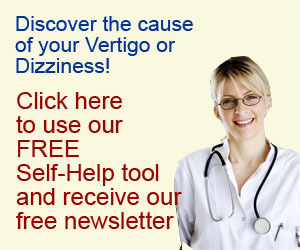 I run a clinic focusing on the treatment of vertigo and dizziness disorders. I began to realise there was only so many people I could help working in my clinic. The number of people I can see in a day is limited, and people can only travel so far to see me. The other thing I have noticed over the years is that a lot of the work I do with dizziness and vertigo patients could easily be reproduced into a form that people could use in their homes, following an online plan. So I developed Treat Vertigo Now. There is a lot of information here for both people who are just starting to understand their condition, and those who have been around the mill for longer. There is the tool I have created to give you a clearer idea of the type of vertigo you are suffering from. It also directs you to the treatment that is most likely to help you. Please follow us on Facebook and Twitter, and subscribe to our RSS feed so you stay abreast of the latest information. Just click on the links on the front page of our site. Our newsletter is free and also gives great information on helping yourself with these debilitating conditions. Just enter your name and e-mail address in the subscription fields, and be assured we will never give your details to anyone else. A bit more about my background. I’m a Founding Fellow of the Australasian Academy of Functional Neuology, a Fellow of the American College of Functional Neurology, along with my chiropractic qualifications. In addition to private practice I have lectured and tutored in neurology and neuroscience at RMIT University in Melbourne, Australia. So you can be sure the information here is from someone who knows their stuff!